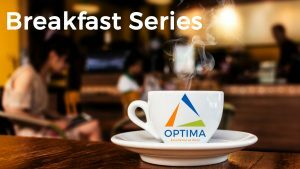 From Strategy Deployment to Six Sigma; we’ve created a lineup to help you achieve business excellence! 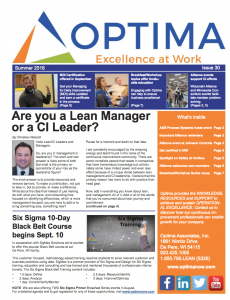 Summer’s a great time for continuous improvement! 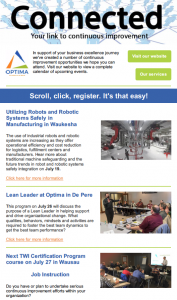 Upcoming Continuous Improvement Alliance and Optima Workshop/Breakfast Series events highlight latest e-newsletter. 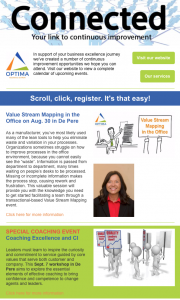 Click on the image to see what opportunities are coming up!